Green-tree has launched its new Rain Garden Filter Medium; a bespoke engineered soil for use in rain garden applications. Green-tree has seen a sharp increase in enquires for rain gardens which are known to have a number of benefits. Rain gardens help deal more effectively with heavy rain by slowing down the flow of grey water. They are being used in flood management schemes where planting with vegetation also provides a biodiverse environment for the benefit of local wildlife. A basic rain garden is a shallow depression with free draining soil and planted with vegetation that can withstand occasional temporary flooding. 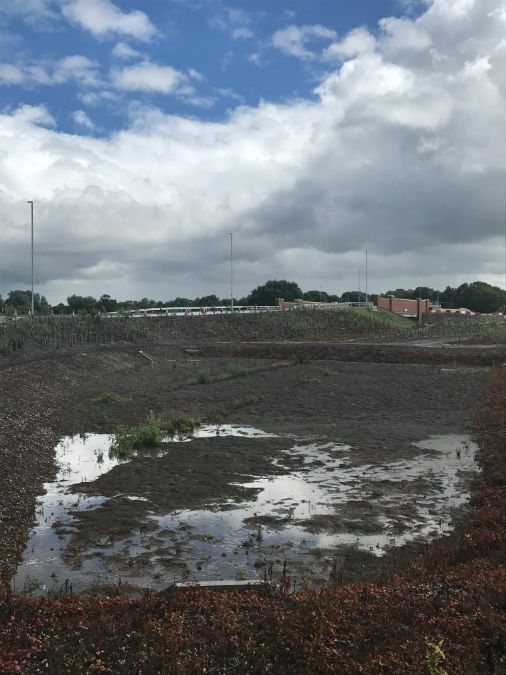 Green-tree supplied 380m3 of Rain Garden medium for a pioneering road improvement scheme managed by Staffordshire County Council Highways department. 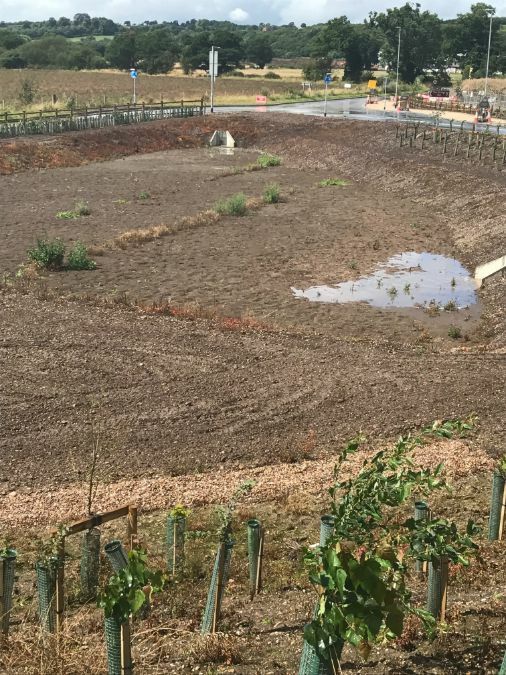 The scheme was planted with reed beds and other water-loving plants and is part of their Local Flood Risk Management Strategy.